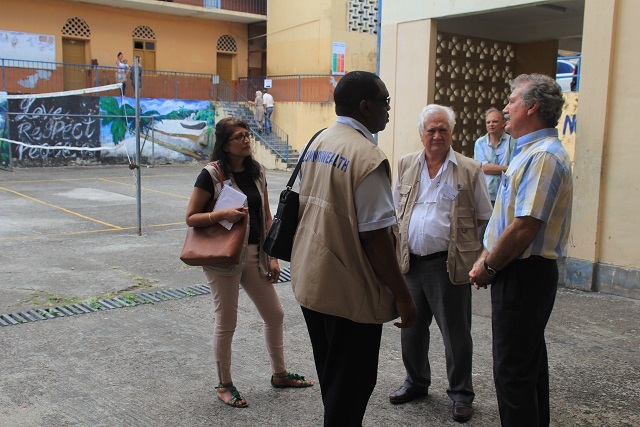 (Seychelles News Agency) - A day after results of the presidential election in Seychelles were announced, international observer missions have made known their preliminary observations of how the whole process was conducted. 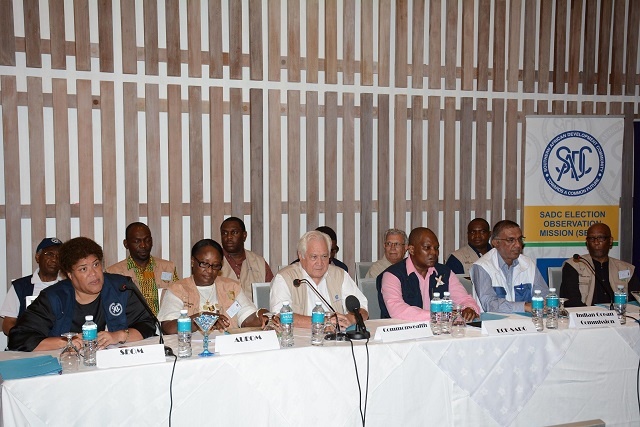 Six international observer missions; the Commonwealth, the African Union Election Observation Mission (AU EOM), three Southern African Development Community groups – the SADC Election Observation Mission (SEOM), the Electoral Commission Forum of SADC Countries (SADC-ECF) and the SADC Parliamentary Forum (SADC PF) and the regional Indian Ocean Commission (IOC) had sent observers to monitor the Seychelles presidential race. 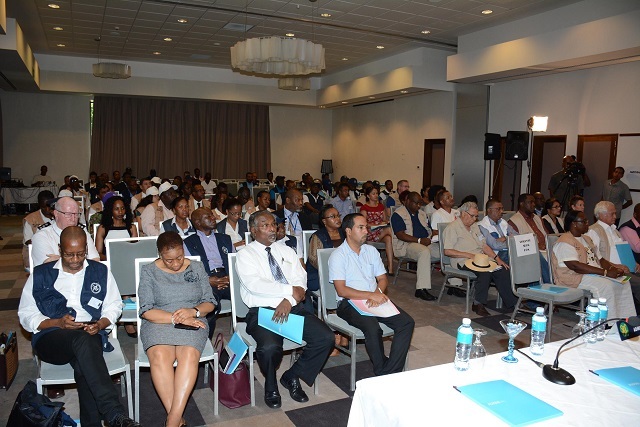 They all joined together to address various stakeholders at the AVANI Seychelles Barbarons Resort & Spa, in the western coast district of Grand Anse on the main Seychelles island of Mahé on Monday. This was an opportunity not only to highlight good practices observed but also to point out concerns and present their recommendations on how things could be improved. Voting that took place from December 3 to 5, 2015 was contested by six candidates; none of whom managed to secure the 50 percent majority needed to come out as the winner, hence the need for a second round of voting. The observer missions were present at the various stages of the polls including during the campaigning period right up to the voting days, when they were able to send groups of people to the different voting stations. Polling stations being opened on time, procedures being followed, proper layout of the voting station and provisions made for people who were still standing in line when it was time to close the stations to vote, are some of the observations highlighted by the Head of the SADC Election Observation, Nyeleti Brooke Mondlane also the Deputy Minister of Foreign Affairs of the Republic of Mozambique. She however noted the delay that the process of crossing off names of people who voted in special stations on the first two days had on the voting process at some stations on the main polling day and how long queues had delayed the closing of most of the polling stations. One of the areas touched on by another SADC mission, the SADC Parliamentary Forum, SADC PF was media coverage, which was said to have portrayed significant improvement in the way the state media provided 'fair, balanced and impartial coverage' of all candidates and the wide use of the social media. “Incidents of insults between supporters of political parties on social media were reported. Alcohol abuse was common at political rallies, the mission calls for alcohol to be discouraged at political rallies as this can trigger violence,” said the Mission Leader of SADC PF, Fezile Bhengu, also a member of the Parliament from South Africa. For its part the Commonwealth was satisfied that the fundamental rights of candidates, parties and the electorate “to freely assemble and campaign respected were respected” highlighting the participation of candidates from five political parties and one independent candidate as having contributed to a highly competitive campaign environment. The mission’s preliminary statement makes good observation of the efficiency and competency of the staff working at the various polling stations, as well as the electorates' familiarization with the voting process and commends special voting arrangements for elderly, disabled and pregnant voters. The Commonwealth did however have some recommendations, which the mission’s chair said could help to improve the polling process. 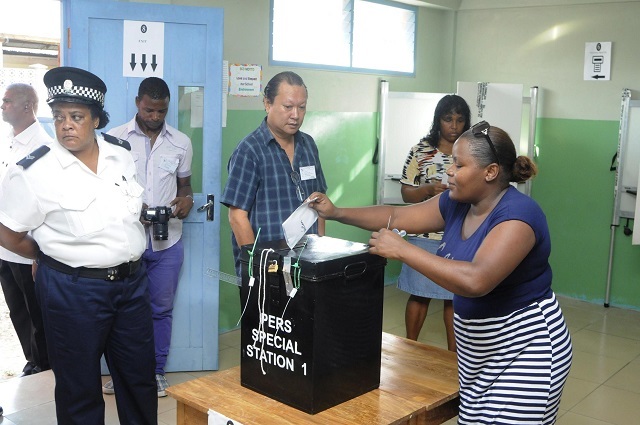 “We believe that the polling process could be improved perhaps by increasing the number of polling stations,” said the Head of the Commonwealth observer mission Lord Sevele, also Former Minister of the Kingdom of Tonga. 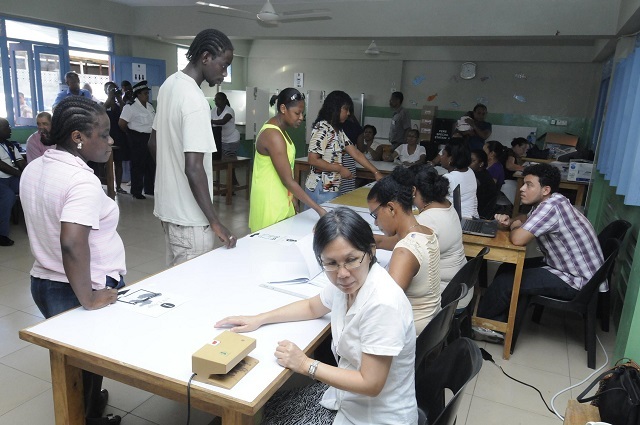 For the African Union, this was the first time the regional organization had come to observe an election in the 115-island state in the western Indian Ocean. The team consisting of 20 observers were deployed to various polling stations, with 14 of the observers being based full time at certain polling stations, while the remaining team was moving around to the different stations. Julia Dolly Joiner, former African Union Commissioner of the Political Affairs who was leading the team talked about some of the reforms including the setting up of the Electoral Commission, which she said was an important step towards a more impartial management of electoral processes in Seychelles. She nevertheless, called for increased transparency and consistency in the Commission's decision and improved dialogue with all stakeholders, as well as addressed some issued raised by stakeholders regarding voters registration and register. “The effort to keep the voters register as inclusive as possible has led to what appears to be a bloated register….which may raise questions about its integrity and credibility…” said Joiner. The AU EOM, along with other missions, have also pointed out the absence of voter cards or other proof of registration, which makes it difficult to determine if a voter whose name does not appear on the Voter Register on election day was indeed registered. Some of the other observations made by the representatives of AU EOM include ballot boxes not being transparent “contrary to best practices on the continent” and unavailability of adequate seats for representatives of all candidates and international observer missions to observe the first two days of voting on the outer islands. “The first one on improving the quality and management of the national voter register and its various segments…building trust between the election management body and key stakeholders, thirdly on strengthening voters education especially in the area of prohibited conduct and undue influence, on granting international observers access to every part of the country where the election is taking place and lastly…a recommendation on exploring new innovations that guarantee that voters with disability also enjoy full secrecy of their vote. It was also pointed out that stakeholders consulted by this mission were of the view that voting should take place in one day instead of over three days. The regional observer group, the Indian Ocean Commission noted that the election were "openly contested" and that there was "fair play and transparency" in the whole process. “The mission also highlights the important involvement of the Catholic and Anglican Church and the interfaith movement,” said Irfan A Rahman a member of the mission group also the Electoral Commissioner in the neighbouring Indian Ocean island of Mauritius. Some of the other general observations made by the various missions relates to the participation of women, which they said made up the majority of voters and were well represented at the polling stations as polling officials and polling agents. However, the missions noted that women are under-represented at the level of the Electoral Commission and the leadership of the political parties. Overall however the observer missions have commended the people of Seychelles for their political tolerance and maturity during the election periods. While the preliminary statements have been presented, all of the missions will now be compiling their final and full reports featuring their full recommendation and issues observed, which they have indicated will be made public in due course after the second round of voting. The missions have indicated however, that their role is to make recommendations that they believe should be made, but that it is not their role as observers to force the adoption of the recommendations, which they say remains the sovereign right of the people of Seychelles to take such decisions. 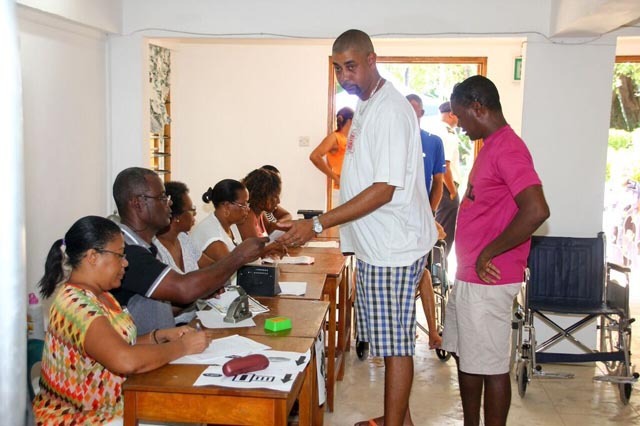 The Seychellois electorate will be heading to the polls once again next week, to decide between the two top contenders in a second round. 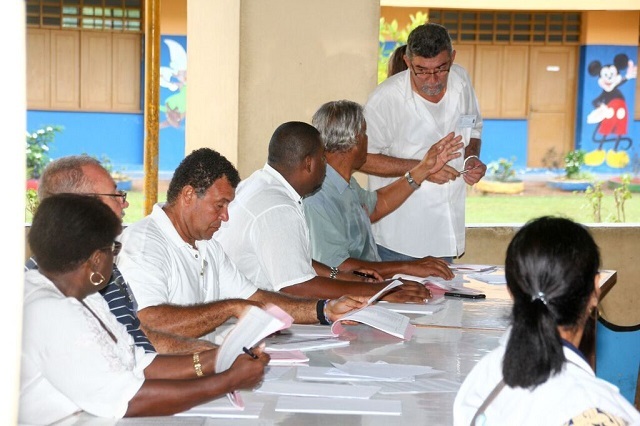 The run-off vote, will be contested by the incumbent President James Michel also leader of the ruling 'Parti Lepep' who won 28, 911 valid votes or 47.76 percent and the leader of the Seychelles National Party who obtained 21,391 valid votes or 35.33 percent. The second round of voting will be held from Wednesday December 16 to Friday December 18, 2015. The SADC Election Observation Mission (SEOM), the Commonwealth, the African Union Election Observation Mission (AU EOM) have all confirmed that they will be represented for the second round of voting. The other observation missions are yet to confirm their participations. 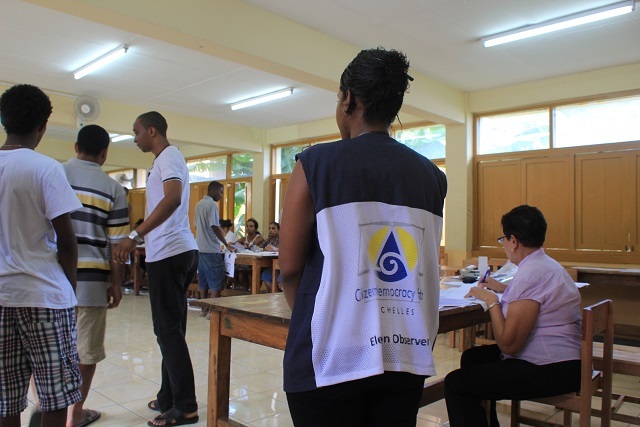 Two local observer groups, Citizens Democracy Watch Seychelles (CDWS) and the Association for Rights, Information and Democracy (ARID) also observed the elections and are in the process of presenting their preliminary findings.